The key to success in life and business is to become a master at Conversational Intelligence. 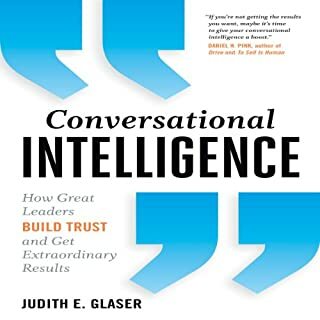 It's not about how smart you are, but how open you are to learn new and effective powerful conversational rituals that prime the brain for trust, partnership, and mutual success. Conversational Intelligence translates the wealth of new insights coming out of neuroscience from across the globe, and brings the science down to earth so people can understand and apply it in their everyday lives. Actually is mind-blowing. Highly recommend. Improving the performance of your employees involves one of the hardest challenges in the known universe: changing the way they think. 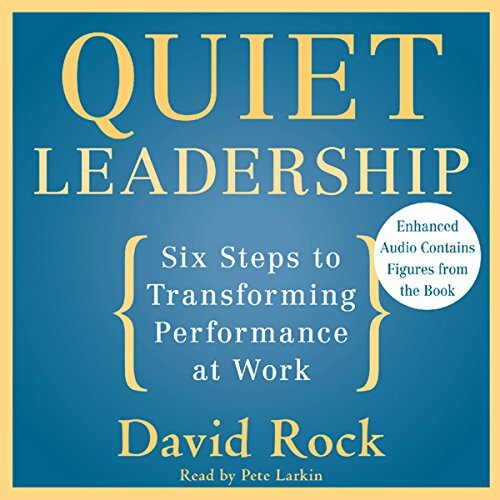 In constant demand as a coach, speaker, and consultant to companies around the world, David Rock has proven that the secret to leading people (and living and working with them) is found in the space between their ears. "If people are being paid to think," he writes, "isn't it time the business world found out what the thing doing the work, the brain, is all about?" Supported by the latest groundbreaking research, Quiet Leadership provides a brain-based approach that will help busy leaders, executives, and managers improve their own and their colleagues' performance. Rock offers a practical, six-step guide to making permanent workplace performance change by unleashing higher productivity, new levels of morale, and greater job satisfaction. I could not put this book down! It has some profound insights that will greatly help me in dealing with my employees and kids. You have to read it if you are in leadership or are aspiring to. What was one of the most memorable moments of Quiet Leadership? What does Pete Larkin bring to the story that you wouldn’t experience if you just read the book? Great audio effects that captivate you. Accomplish more by speaking less. Which questions will switch on the speaker's own capacity to understand and find a practical solution? By asking about their thinking you help them get out of the harried victim mode into a more transcendent clarity vision. It is quite involved and entails getting used to a special terminology. Applying it in life is even more challenging, because you will sound very much differently from what you usually are. But even a little application of David Rock's 6 steps seems to help me approach all relationships and human interactions in a much more effective way. It shows how to actually contribute to positive and natural solutions. This book got off to a super slow start and never picked up the pace. I truly struggled to finish it. Very repetitive. The conclusion is spot on! Great read. Thanks! The conclusion is spot on! The current workforce turmoil will eventually work itself out; in the mean time personal development is essential. I just finished this book for the second time in four years. 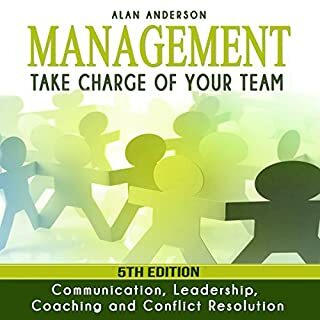 I recommend it to the managers who work for me and recommend it to anyone who is responsible for managing a team or managing other managers. 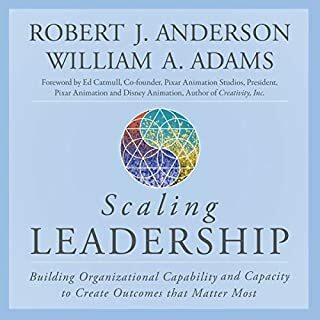 This book is essential for any change agent to follow when transforming organizations for the better and interacting with people who need to be coached appropriately. As an Agile Coach I do recommend this reading! Good and useful, but repetitive. It could be shorter with the same ideas in it. Full disclosure: I didn't finish the book, I gave up about half-way through. Also, if I were to disregard the dry narration, I would rate it a strong 3 for content. The CREATE model presented in this book looks interesting, but it's as if it's (too me) mostly common sense put into in a fairly overly complex package. I found myself losing interest in what was being said time and time again because of it. The first couple of chapters on neuroscience also doesn't add anything new or interesting for me. The narration is dry and reminds me of an emotionally disconnected talk radio host. It's well articulated and calm, but it also doesn't capture the subject matter in an appealing way. Somewhat better when listening and 1,5 times the normal speed, but not enough to keep going. I'm willing to bet that this is a much better book in a non-audio format, both because of the somewhat complex structure and the narration issues. Very good ideas, a little bit repetitive! Before this, I read "Your Brain at Work" by David Rock and loved it. It had a hand full of ideas but were very well presented along the book. They ideas seemed to flow across the book and evolve. In Quite Leadership you also find only a hand full of ideas (very good ones I might add) but they just get repeated over and over again and don't seem to evolve too much. These ideas are just put in different contexts but in the end come out the same way. So I can only give the book itself 3 stars because of this. But mind you, those 3 stars are very valuable, making the book worthwhile in my opinion. I read the author's Brain at Work book and was impressed so I read Quiet Leadership and was equally impressed. Some of his suggestions I was already aware of. However, what impressed me is that he set up a process that is easy to follow; enough anecdotes and examples to see how it works for individuals and teams. I recommend both books. Fresh off of finishing Your Brain at Work, I was keen to dive deeper into David Rock's work. As a first-time people manager, I'd hoped that a practical approach and steps to improving thinking would be useful for me. Ultimately, I found that Quiet Leadership was far less memorable than Your Brain at Work, while covering many of the same themes. The continuous reference to the PDF attachment was also distracting. I prefer audiobook productions to go the extra mile to ensure a good audio experience vs. just a direct reading of the text. In terms of narration, I found Pete Larkin's performance to be adequate, if a little bit dry. If you're looking for some new direction on 'thinking about thinking', this is 7 hours well spent, but I think you'd be better served by putting in the extra three hours and going for the much more satisfying Your Brain at Work. 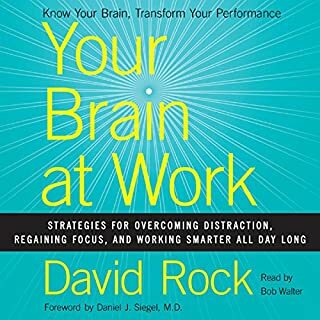 I bought this audiobook after listening to 'Your brain at work' which was fascinating. Quiet leadership was also very inspiring, but it required more concentration to listen to. I usually listen to audiobooks in the car when I am driving and this book needed a bit more focus. There are quite a lot of exercises to put into practice what you are learning about, but I think I will need to listen to it again at home and make notes to get the best out of it. Definitely worthwhile though, and very thought provoking. The most interesting aspect of this book is in it’s explanation of the brain and how it relates to our thinking and overall experience. I am glad I chose the book for this reason. I’m sure the principles to apply in the book can work in some situations, as long as the “quiet leader” is faced with positive individuals with self awareness to see their current reality for what it is. Sadly, there are too many situations where some people we are charged with leading, are either unaware of their behaviour, or have an altered perception of it. The only insight into such situations is when David Rock writes about applying the principles to teenagers. Even here , the example given is with one who is unbelievably compliant when approached by a sanctimonious and patronising parent. I also struggle with the closed question format of “asking for permission.” There could be a sting likelihood when asking “I’d like to talk to you about x, is it okay to do this now?,” to get the response “no.” Better to ask “how about we talk about x?” That will get a better response. Getting people to do their own thinking is a good idea, but so is getting people to talk about their feeling, or their beliefs about a current situation, and that element is conspicuously absent from Rock’s approach. I’m afraid I found the narration of Pete Larkin as described above: patronising. If my manager spoke to me with the tone he uses, I would think: “so you have swallowed a textbook.” It doesn’t sound sincere, and tone in coaching conversations is so vital for success. Overall, a book with some useful insight. Not a panacea of course. This book is certainly insightful! 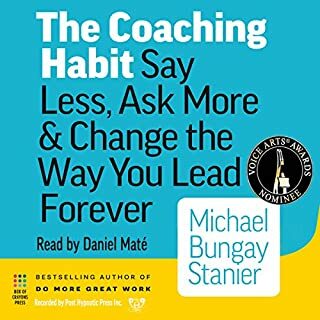 I used the techniques in this book with a colleague with does not like to be coached. She found the six steps more comfortable and her performance is improving. Definetly worth a listen! recommended this book during business coaching. Some great ideas and concepts for those trying to develop their leadership skills. However I did find it to be more an academics book and rather more suited for those who do the coaching than receive it. I like it though I don't have the extra parties for the audio book. Neither did I do the practice part yet. Some questions seem to be unlikely to work in casual conversations, but the genetic message is clearly valuable. How much? I will find out very soon. Today I tested it and it worked hundred percent. Interesting outlook on coaching in the work place. What made the experience of listening to Quiet Leadership the most enjoyable? The idea of the book arouses one's curiosity to the point you must continue to listen. The detail about how the idea relates to real world aspects and leadership. It was a very genuine performance it was easy to close my eyes and listen. The book has good ideas and real world applications. I didn't take all of it on but i definitely took key points that related to my line of work where applicable. 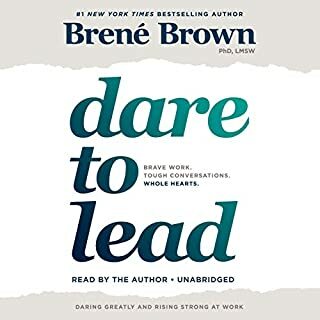 This book is great for leaders who are looking for ideas to help with leading. Enjoyed the book. Strong message, just the intentional repetition can be a bit dull. I'd get the abridged version if I were you.